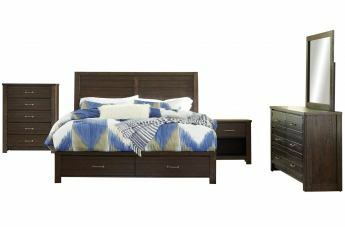 This Darbry Bedroom Collection has a casual contemporary design. 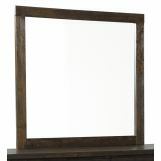 This collection features Burnished brown Oak finish on Mindi veneers and hardwood solids. 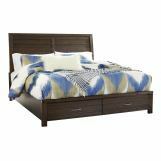 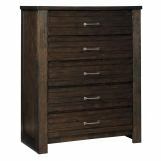 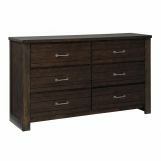 It has a dovetail drawer construction with metal center guides and a two drawer storage in footboard. 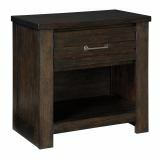 Open display shelf in night stand.